It's that time of the year again, the Ramadhan month, during which, Muslims all across the globe would fast during the day and break the fast after sun down. Well, I don't observe fasting, but this Holy month actually has its perks (for non-Muslim foodie like me), for example the abundance of special Middle Eastern themed menus at various restaurants, cafes and hotels here. 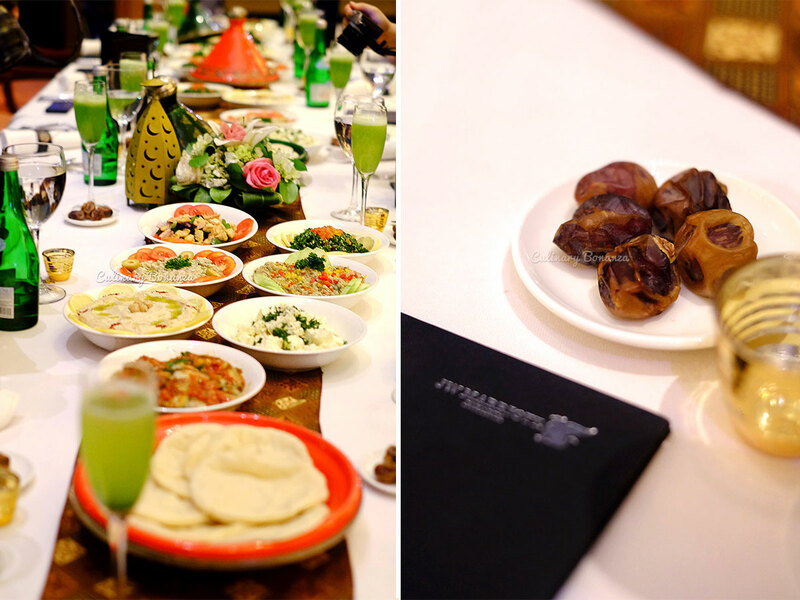 One perfect place to have delectable middle eastern iftar (fast-breaking) buffet is Sailendra Restaurant at JW Marriott Jakarta. 1st week: 17 - 25 June, Moroccan. 2nd week: 26 June - 2 July, Turkish. In the second week, there will be Assorted Mezze spread (Hummus, babaganoush, fatoush, tabbouleh, zabneh feta, mutabe, imam bayildi) with pita bread, falafel, samosas, as well as fish pilaki, or fish cooked in a sauce made out of onion, garlic, carrot, potato, tomato or tomato paste, sugar, and olive oil. 3rd week: 3 - 9 July, Lebanese. If you see this Eggplant & Tomatoes Lebanese Beef Makloubi, think no further, just get some of it onto your plate. Makloubi or maqluba as it is better known, is actually layered pot of meat, vegetables and pilaf rice, with raisin, almond and cashew nuts, cooked upside down (maqlubi after all, means upside down in Arabic). 4th week: 10 - 16 July, Pakistani. Of all the middle eastern countries, I am least familiar with Pakistan. Due to its geographical proximity with India, I tended to think their cuisines are practically the same, but turns out I was wrong. Pakistani cuisine, actually receive great influences from North India and Middle East, depending on which region of Pakistan. During this week, expect to find these dishes at the buffet: Chicken Karahi, boti kebab & chapli kebab, Pakistani beef kofta & chicken. 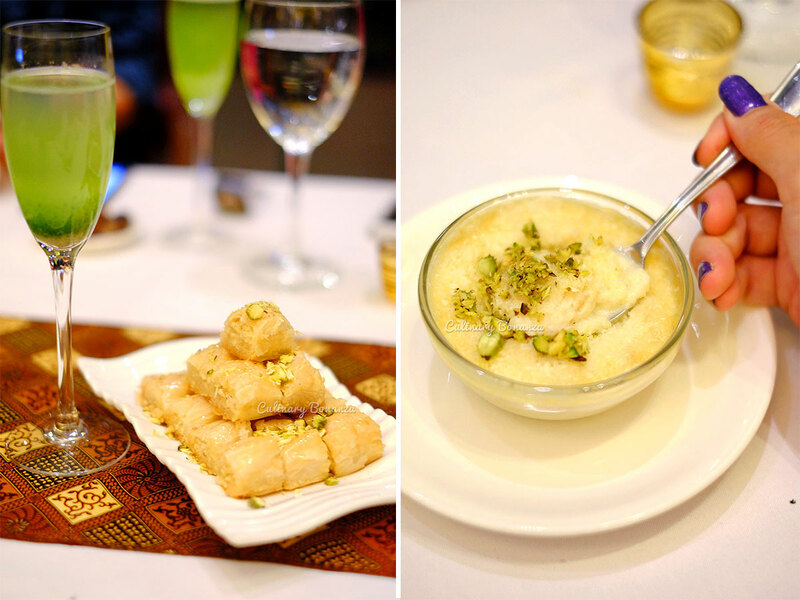 As for middle eastern dessert, they tend to be very sweet and have sticky texture, not all of them though. As much as I am a sweet tooth, middle eastern sweets are probably my maximum limit, so at best, I could only eat little bit of the dessert. However, I could never say no to a bowl of warm um ali, or the middle east version of bread pudding, which uses rice in place of bread. Since I'm secretly a lover of middle eastern food (although I'd avoid lamb, unless it's very well done), I really can't tell you which week would be best to come, because I'm sure each weeks, the chefs at Sailendra would come up with equally scrumptious feast to soothe your hungry tummies after a long day of fasting. A well earned reward dinner indeed.